I’m as mad as hell, and I’m not going to take it anymore. This story starts about a year ago. Minding my own business as I sat in my parked car, I watched as another driver attempted to drive into the space next to me, misjudged it, and sideswiped my front wheel arch. 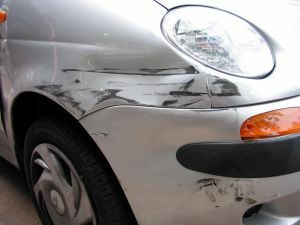 My car rocked, and the other driver, possibly genuinely, denied any knowledge that he’d hit me at all, even when I showed him the marks and my paint on his bumper.